Mississippi View Farm Lipizzans is one of the largest breeders of Lipizzans in the United States. We believe the backbone of any breeding program is it's mares. One of our greatest assets is the diversity of mare herd. The MVF mares represent six unique mare lines: Five Classic Piber lines and One Romanian line. "Kiki" is a 2008 15.2hh Mare bred by Wind Mountain Lipizzans. "Kiki" has been a consistent producer of quality, outgoing, amateur friendly offspring. She is out of our own Filipana. Sennia embodies the athleticism of the eastern European driving type Lipizzan. She is a bold mare with fabulous gaits and exceptional natural balance. Troja was imported from Piber and is the embodiment of the classic baroque type Lipizzan. She has been a consistent producer of top quality offspring including one of our current stallion prospects. "Gitta" has an incredible temperament which she has passed onto to all of her offspring. She has consistently produced top quality foals, including two stallion prospects. Her dam was imported from Piber. 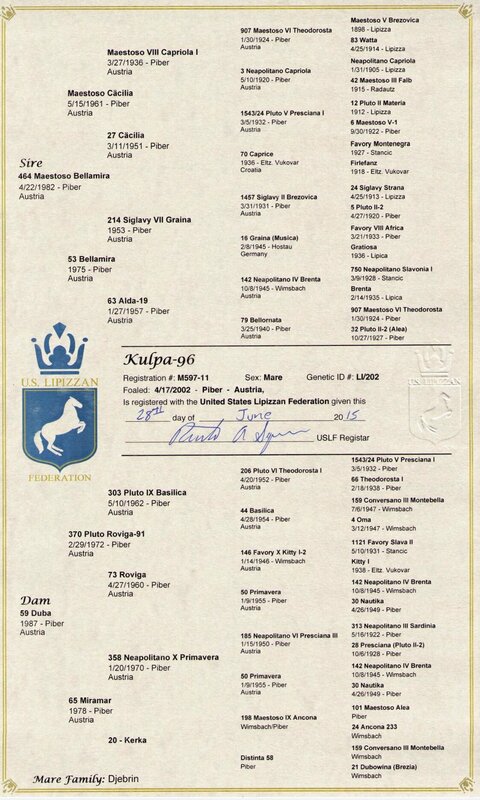 Kulpa was imported from Piber as a young mare and came to MVF where she had an extremely successful dressage career before she was retired to be a broodmare. 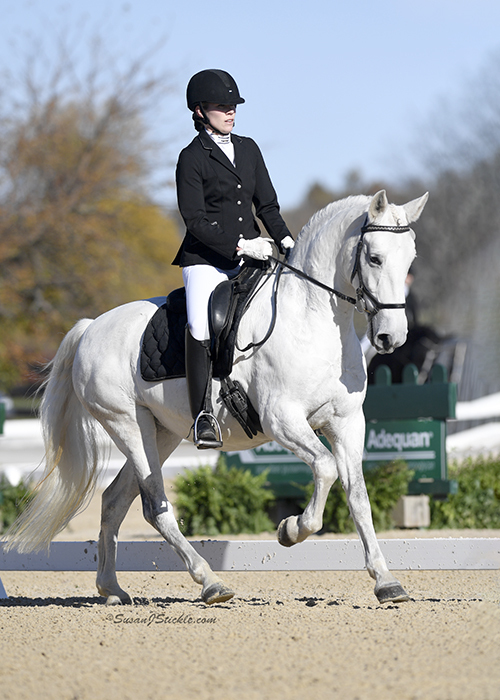 She competed at the US Dressage Finals in 2016. 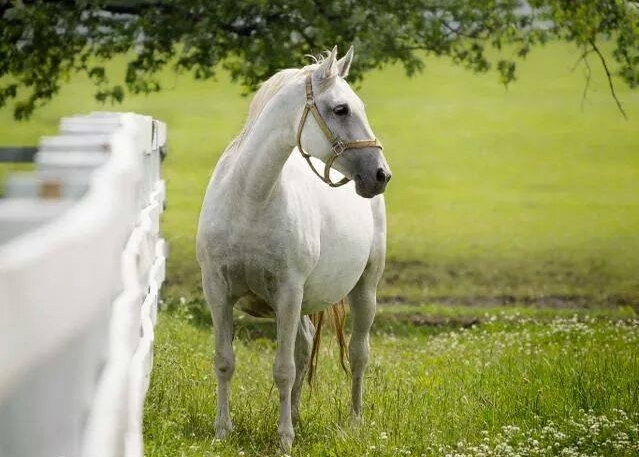 "Ana" has an incredible temperament and high rideability which she has consistently passed on to her offspring. We now have several generations of her offspring represented in our breeding program. Ria was started under saddle and trained to drive at MVF. Her high rideability, intelligence, and sweet temperament have been consistently passed on to her offspring. 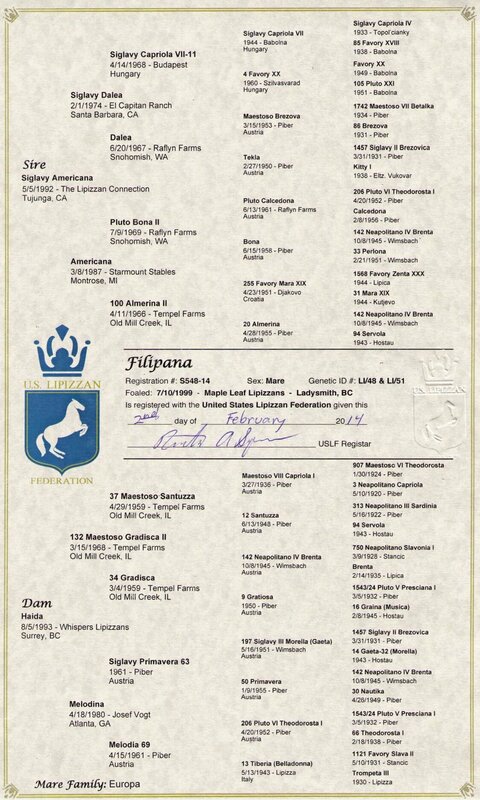 Patrizia was imported from Piber and has been a part of the MVF breeding program since the beginning. She has the classic Piber type which she passes along to her offspring. The newest addition to the MVF broodmare herd, Moresca shows incredible natural athleticism with a very active hind leg and wonderful personality. 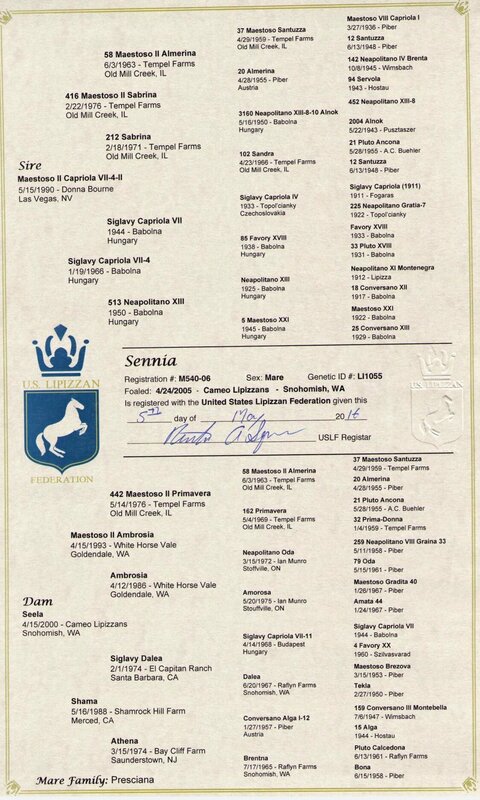 Soja was imported from Piber as a young mare. She is an excellent representation of old Piber lines and the classical baroque type. Under saddle at MVF she showed an incredible natural athleticism and balance as well as a fantastic temperament.